Welcome to the best selling guide to the hit TV show Diners, Drive-Ins and Dives. We are very excited to offer our latest feature, Passport. Track your route by checking in to the places you visit. Passport is available as an In App Purchase on the main screen. We've added a slider to the "Near Me" map which allows you to filter the amount of locations shown. Now you can choose how many nearby locations you'd like to see! We have many of the recipes from the Food Network site included in the app, and linked so you can try them at home. Save your favorite places or save the places you want to go on your next trip. Favorites will be saved even when the app is updated to new versions. Share your visit on Facebook, Twitter, Text or email. Send your friends right to the place in the app that you're currently visiting so they can be jealous. Let us know how your visit to a DDD location went. Send pictures or text and we'll add it into the app for everyone to see. 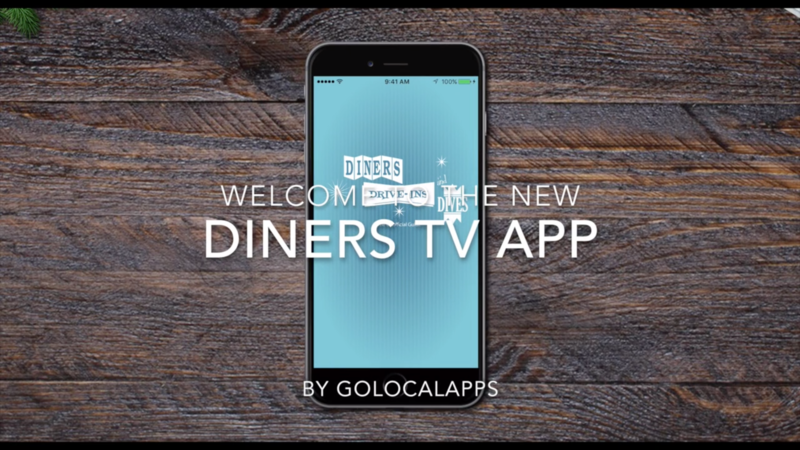 We created Diners TV in 2012 to help us find locations from the show as we traveled after trying several other apps that just didn't work. It's been #1 in the iTunes Food & Drink category for two solid weeks and reached #60 in overall apps during that period. 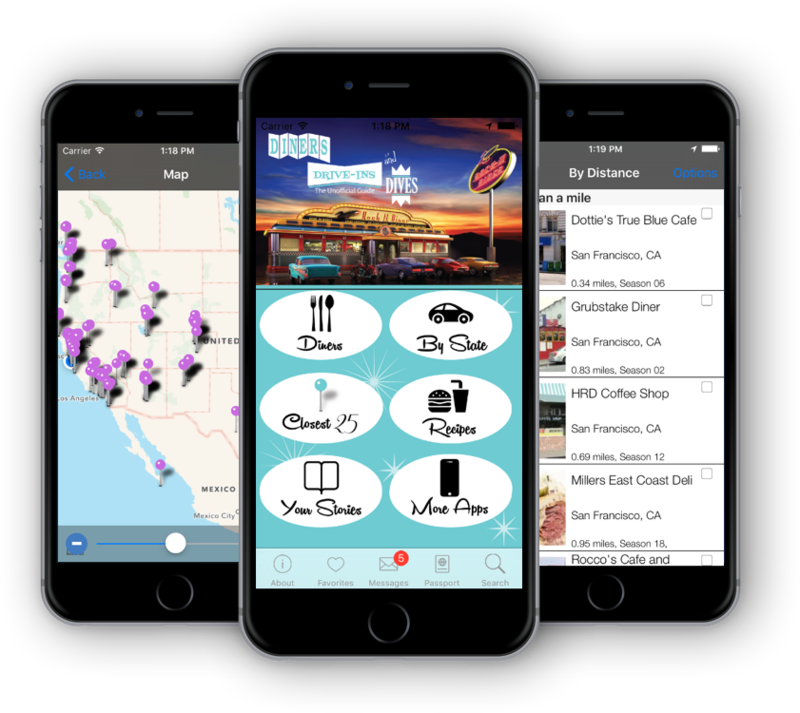 We have more than 85,000 downloads since we launched and many of our users help keep the app updated with new reviews or information about the restaurants in the app.